While not a huge number of weapons, it does provide a good cross-section of the types of weapons now being used by the opposition. On the left of the picture there's four Chinese FN-6 MANPADS, which, according to the New York Times, have been provided to the opposition by Qatar. Normally effective anti-aircraft missiles, the arms supplied by Qatar have been reportedly plagued with technical problems, including the batteries running out of power, the targeting systems not working, and the missiles failing to reach their targets. 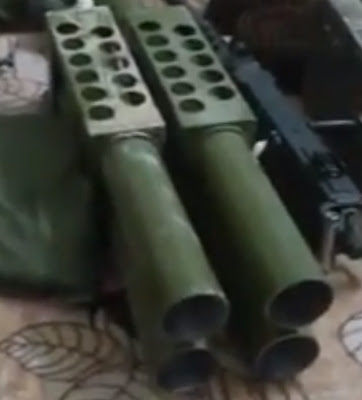 To the rear there's a number of AT-3/9K11 Malyutka anti-tank missiles, likely captured from government stockpiles, and regularly used by opposition forces. On the right there's a DIY rocket launcher, a frequently used design that's likely used to launch 107mm rockets, as used by Type-63 multiple rocket launcher systems (and their licensed copies). 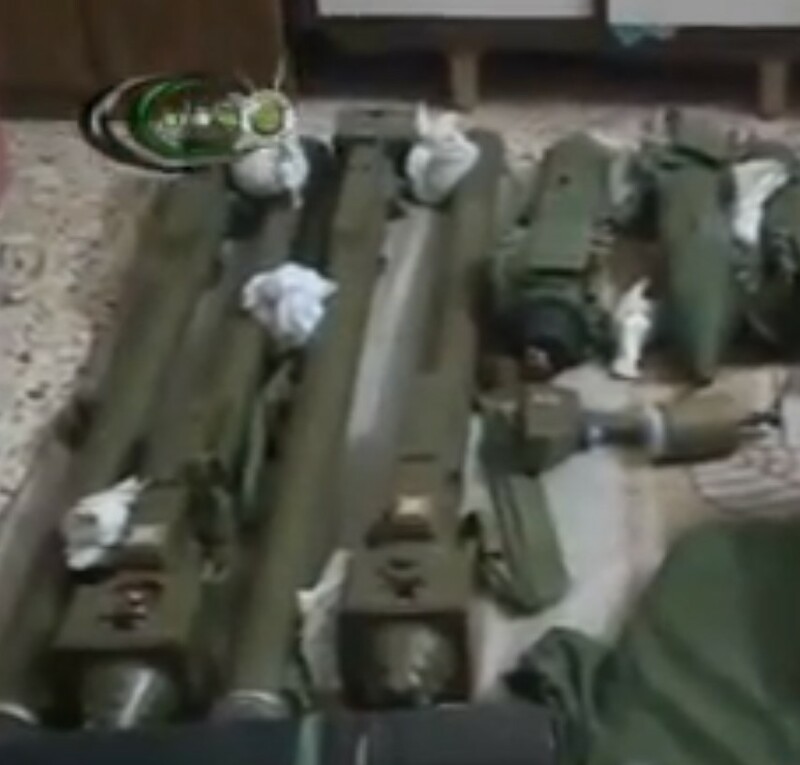 The Type-63 is widely used by Syrian government forces, and widely captured by the Syrian opposition, and these smaller DIY launchers are easier to transport than the complete Type-63 system. Also pictures are mortar rounds and what appears to be a Browning M2, or a licensed copy, which is used widely across the region, and possibly acquired from the black-market. This is what's now a pretty typical selection of weapons for the opposition in much of the country, and a good example of how the opposition has gone from AK-47s and RPG-7s to more advanced and powerful weaponry over the course of the conflict. None of these can be said to be game-changers at this point in the conflict, but it does show they have weapons that are capable of taking on Assad's forces both on the ground and in the air. Many thanks to Olly Lambert, whose donations to the Brown Moses Blog fundraiser made this post possible.